Lets face it as much as we would probably like to admit we don't wash our brushes as much as we should, It just takes so long and when you have so many brushes it does get tiring. When I do decide to wash them (I promise I dont leave them for too long) I use these tips to get my brushes nice and clean. 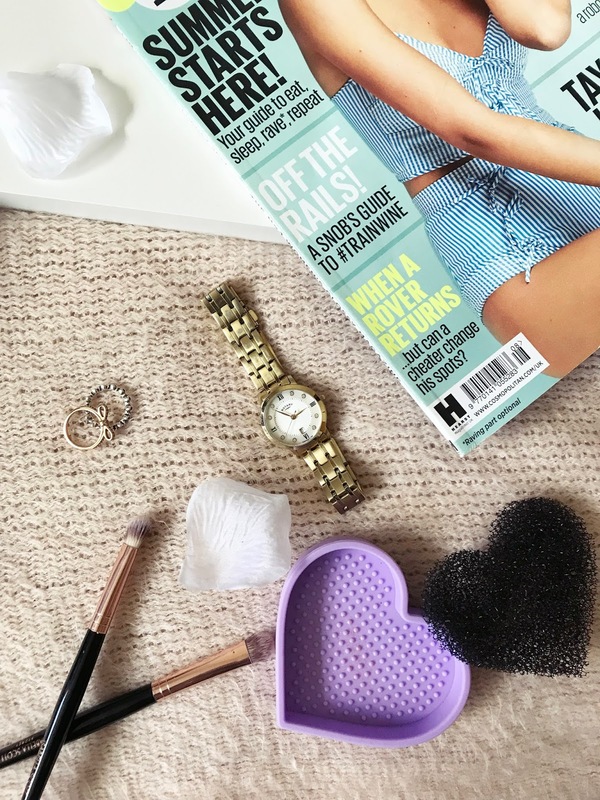 For brushes I use a few different gadgets and products to deep clean and sanitise them. When I wash them I use the pink brush cleanser with a shampoo (my shampoo of choice is Frizz Ease John Freida) and I put a generous amount and swirl my brushes in it and then rinse and repeat (make sure to wash the brushes with them facing down so no water gets into the barrel which can loosen the glue that keeps the hairs in place) until the water runs clear and not soapy. 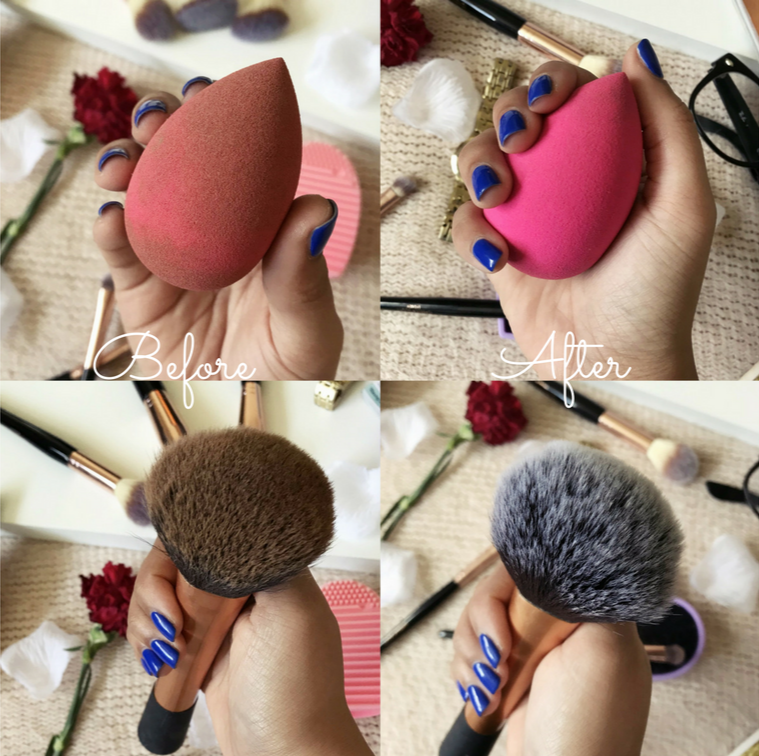 I may need to do this process a few times for foundation brushes. 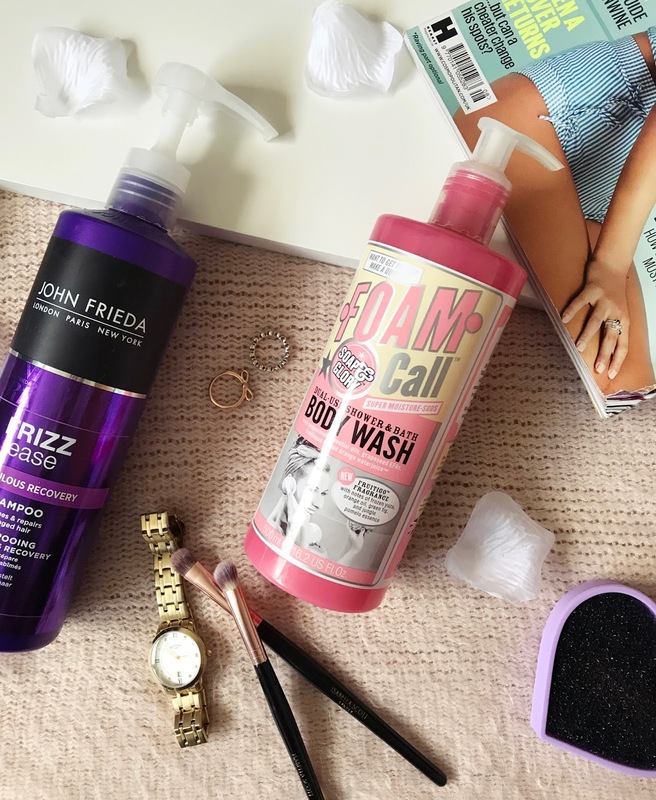 A little tip I have is that if you have washed them a few times and the brush is still a bit dirty I use Soap & Glory's Body Wash, I know body wash sounds strange but it seems to clean the brushes much quicker. To let brushes dry I just leave them on a clean towel to air dry for a few hours. For Eye shadow brushes I use three different products. One for spot cleaning, which is the purple heart with the black mesh which I got from Primark for £2 (you could probably get this bit of mesh of ebay) this product is a 2 in 1 and can also be used as a brush cleaner. This item helps to remove eye shadow while you are doing a eye look and you can change the colour easily. 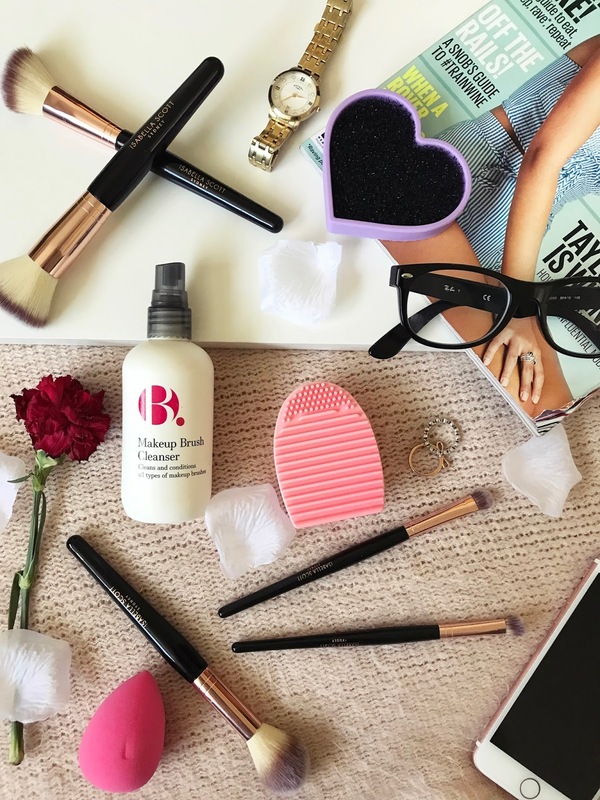 Another way I clean my eye shadow brushes is with the B Makeup Brush Cleaner, I spray this a few times onto a paper towel, this cleans the brushes of any makeup but it also sanitises the brushes so there isn't any bacteria left on this brushes. I use this cleaner once I have finished deep cleaning my other brushes as well to make sure they are extra clean. To clean the sponges I use the same technique as I use to deep clean my brushes but I dont use the pink brush cleaner. 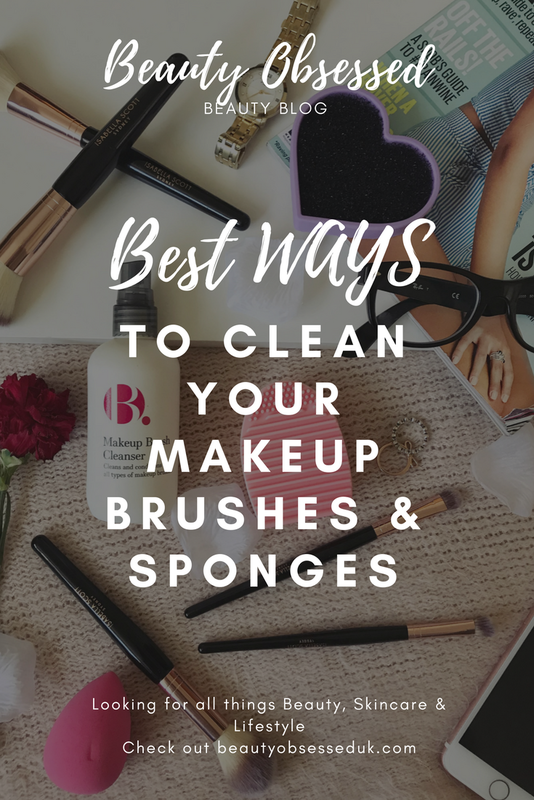 The best way to get the most amount of makeup from the sponge is to rub a generous amount of shampoo into the sponge and them wash away with hot water. I also do this until the water runs clear to make sure its clean. Then after this I spray the sponge with the B Makeup Brush Cleaner to sanitise it, then to leave the sponge air dry for a few hours! 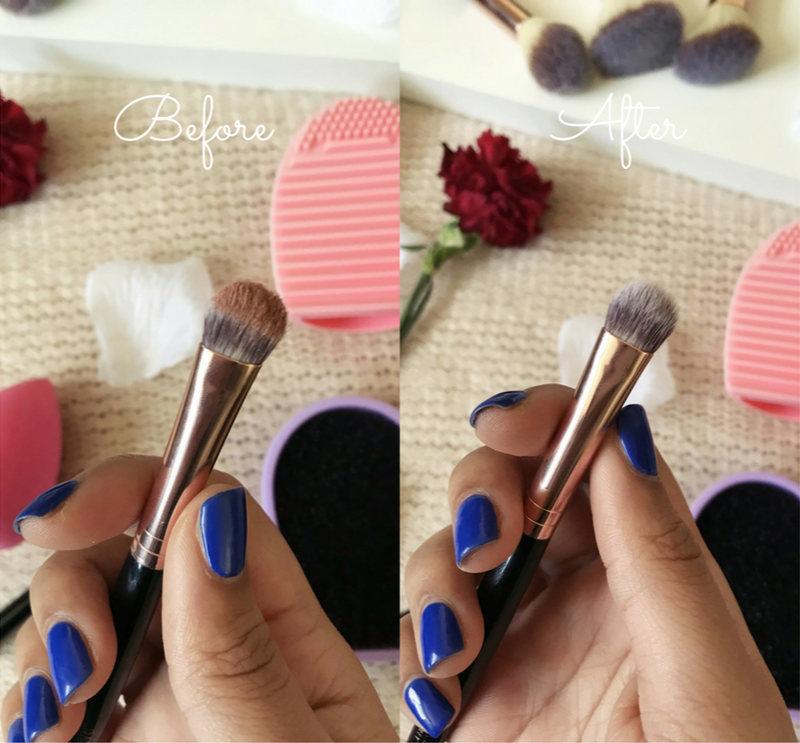 Cleaning your brushes is essential to get the best makeup looks and I know it can be a pain but with these tips your brushes will end up so clean and renewed! 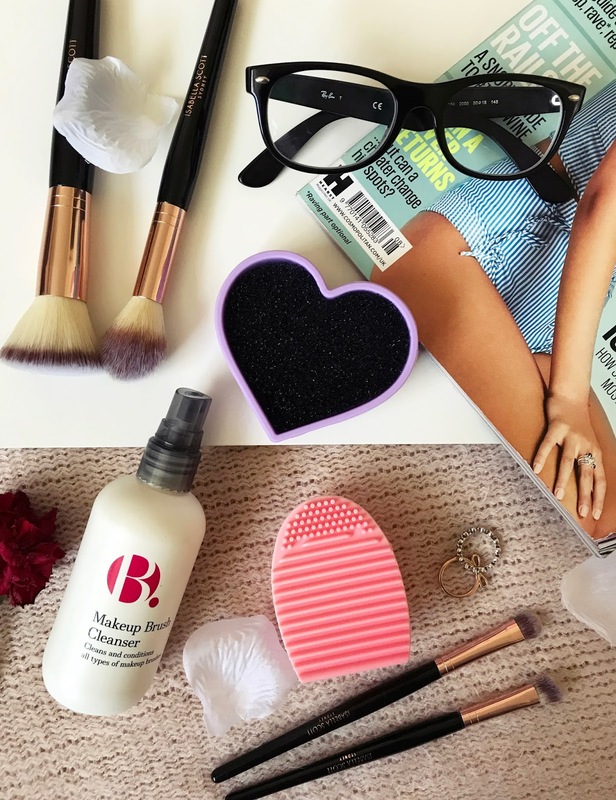 Do you have any makeup cleaning rituals?